House builders refusing access to professional snagging inspectors. Home » House builders continue to refuse access to snagging inspectors. House builders continue to refuse access to snagging inspectors. It is a sad fact that the practice of house builders denying access to professional snagging inspectors appointed by homebuyers before legal completion is an all too common occurrence. This is an issue for many new home snagging inspectors, I know of one who often travels large distances to inspect a client’s new home only to be refused access when he arrives on site, at least in the first instance. Quite why house builders and more likely, their site managers would do this is a mystery. 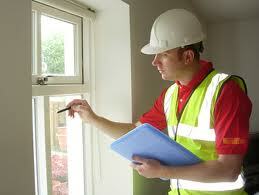 The professional snagging inspector is actually doing part of site manager’s job for them. What harm can be done by receiving a detailed logical list of items that require attention before the buyer moves into their new home. It is far easier for the site management to rectify any snagging issues beforehand, without having to worry about access, keys, appointments, trades not turning up, damage to home owner’s carpets and furniture – all are a potential issue after the buyer has moved in. Indeed an unhappy customer is far more likely to go looking for snags and “find” even more problems with their home. They may even write and complain to the MD and/or CEO or post online! So why are house builders being deliberately obstructive regarding snagging inspectors from the outset? Have they got something to hide? Is the home nowhere near completed, even though the buyer has an “inspection visit” booked witht he house builder? House builders and site managers should realise that the professional snagging inspection will be done anyway and any snags listed will still need to be rectified. The snagging inspector is far more likely to be more thorough and “go to town” on an inspection after being messed about and initially refused access. A home buyers “inspection visit” is normally nothing more than a home “demonstration” by the site manager – when the buyer is shown things like how the heating works. Buyers are often rushed through room by room and not given enough time to properly inspect the finish and quality – something the inspector would be able to do! Can house builders refuse access? It could be argued that Professional Snagging Inspectors could actually prevent disputes with house builders. Whilst the property is legally owned by the builder, they can control who they allow to have access. House builders can also play the health and safety card too, however, if it is safe for a home buyer to visit, it is safe for professional inspectors. If your house builder is refusing your snagging inspector access to carry out his inspection, instruct your solicitor not to transfer the final payment and legally complete the purchase until you are fully satisfied with the quality and completeness of your new home. It is advisable to ask him to write to the house builder to confirm that legal completion will not take place until an independent snagging inspection has been carried out and all items in the report have been rectified. My guess is that they will want their money and allow the inspector access. House builders are required to carry out and remedy defects reported to them under the warranty for the first two years. This entry was posted in New Homes, Snagging and Quality. Bookmark the permalink. One Response to House builders continue to refuse access to snagging inspectors. The more honest will admit they don’t want anything getting in the way of a smooth sale. Delays cost money and bonuses depend on completions even if it costs more to put things right after buyers move in. A few confident builders want people looking around ….and like to show off how good they are and we do get a few like that …. with some builders even asking us for the reports so that they can get everything done. I like to give credit where it’s due as well and there are some good builders out there. Time is the real problem, rushing to complete the home always reduces the of quality of finish.